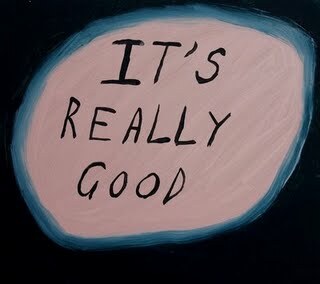 Leg of Lamb loves kiwi artist Rohan Wealleans. 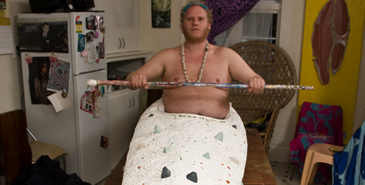 From his Waikato Contemporary Art Award-winning flayed paint ‘vaginas’ to his B-grade inspired Horrorgamis and delicate millefiori style paint-chip arrangements, the artist’s vivid imagination delights… but sometimes offends. A bout of illness meant that Wealleans was unable to perform a paint ritual at this year’s Asia Pacific Triennial at the Gallery of Modern Art in Queensland, so the artist sent his twin brother, Shane, instead. Decked out in a formal Polynesian suit, Shane’s improvised performance incorporated bastardized haka moves, attempts at Te Reo and a series of clicks that remotely resembled the dialect of the South African Xhosa tribe. Needless to say, it’s difficult to watch. In the latest issue of Art and Australia curator Emma Bugden described Wealleans as “a white man whose work behaves badly in a climate of correction, and in doing so makes us think about the question of permission”. This show of cobbled indigeneity, while in keeping with the artist’s penchant for fictionalised characters (and even worlds), pushes appropriation to the limit. The Asia Pacific Triennial at Queensland Art Gallery and the Gallery of Modern Art, Brisbane, runs until April 5, 2010. 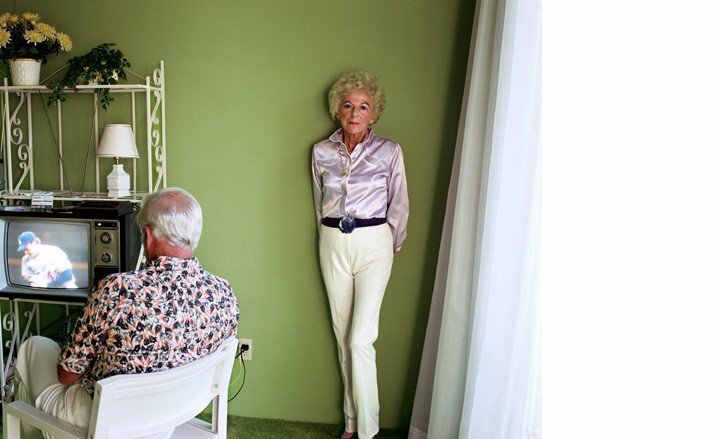 American artist Larry Sultan created staged ‘documentary’ photographs and is perhaps best known for his 2004 series ‘The Valley’, that features LA homes used as sets for pornographic films. These unglamorous scenes featuring disrobed actors taking a break over a cuppa and bored beauties staring into the middle distance disrupt any fantasy associated with the final product. The artist is survived by his wife and two sons. Leg of Lamb will be posting intermittently until 1 February, 2010. Until then, happy holidays. Leg of Lamb was saddened by the unfortunate passing of MJ. 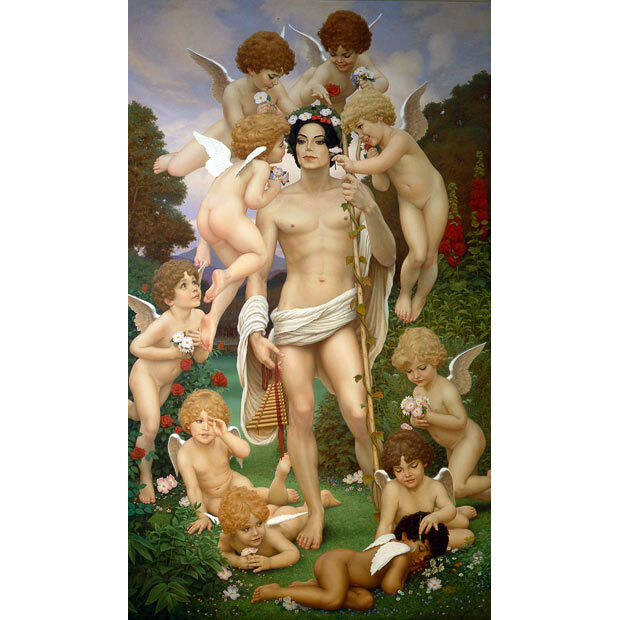 But fear not: solace can be found in the proliferation of artworks made in his honour, including this portait in the manner of Michelangelo’s David painted by David Nordahl – he worked on it for 17 years. 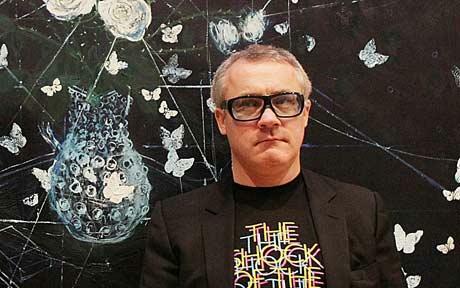 Damien Hirst – the claws are out! It seems that art writers everywhere are frothing at the bit to tear shreds out of Damien Hirst’s recent offerings; paintings created by – heaven forbid – the artist’s own hand! The artist who presented us with spot paintings, the £50 million diamond encrusted skull and animals suspended in formaldehyde (none of which were physically made by Hirst) has turned his attention to the subtle art of still life. 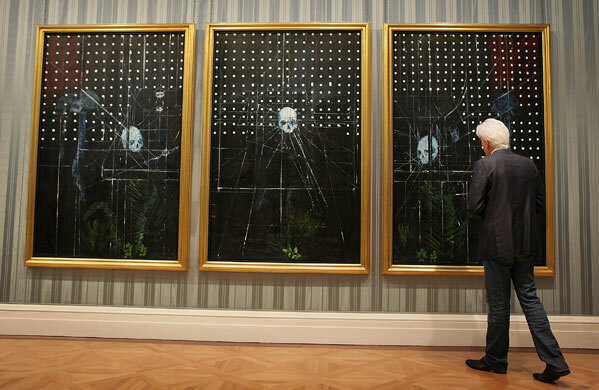 Hirst effectively ‘donated’ £250,000 to exhibit at Britain’s Wallace Collection, a museum famous for its Old Master paintings and collection of antique furniture. Hirst gilded the ceiling, relined the gallery walls with blue silk and hung his paintings in the company of Velasquez and Titian. Familiar motifs including sharks, bones and butterflies are set amidst dots and faint striated lines all rendered in a style that is heavily indebted to Hirst’s idol – Francis Bacon. Considering Hirst himself has claimed: “I was always very dissatisfied with my paintings, I always thought they weren’t very good”. One wonders what he’s making of the overwhelmingly negative response. Guardian critic Adrian Searle described the work as ‘amateurish and adolescent’, his colleague Jonathan Jones claimed that the paintings were not only ‘terrible’, but revealed ‘everything that’s wrong with modern art’, The Telegraph’s Mark Hudson described them as ‘technically inept’ and the Independent’s Tom Lubbock reckons they’re ‘not worth looking at’. Despite the critics’ venom, the Wallace Collection has received a record number of visitors, and the show is set to be their most popular ever. ‘No Love Lost, Blue Paintings by Damien Hirst’ is on display at The Wallace Collection, London, until January 24th, 2010. 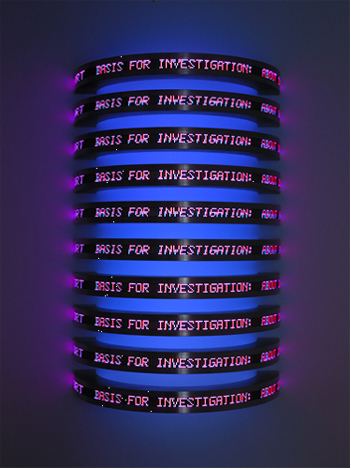 Leg of Lamb is looking forward to the exhibition, ‘Jenny Holzer,’ at ACCA, 111 Sturt Street, Southbank, Melbourne. The survey show will be the first in Australia to present recent works by the artist. Opening night: Wednesday 16 December, 6-8pm. Exhibition dates: 17 December 2009 – 28 February 2010. 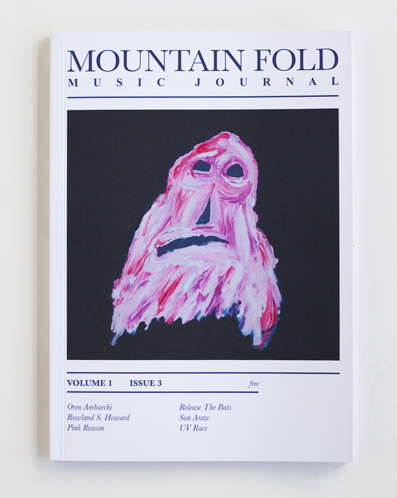 Leg of Lamb is an avid reader of Mountain Fold, a free music journal published in Sydney. Aside from interviews with all sorts of musically minded folk (like Roland S. Howard, Circle Pit and The Dead C), Mountain Fold also features ‘curated pages’ and some great art. 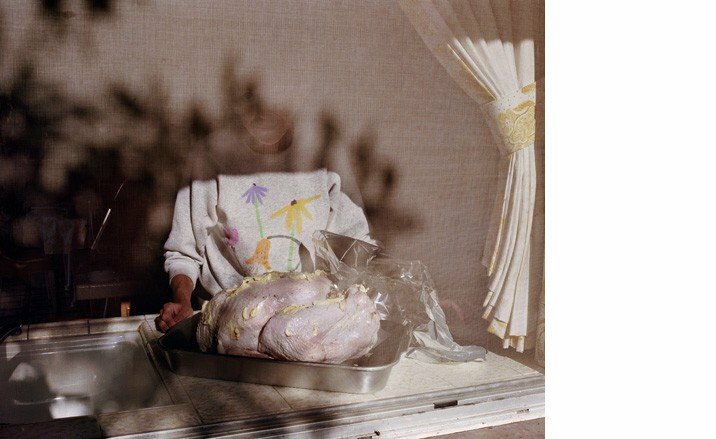 Leg of Lamb was delighted by the charming and slightly pathetic ghost painting by Sydney artist Tom Polo that features on the cover of the latest issue. 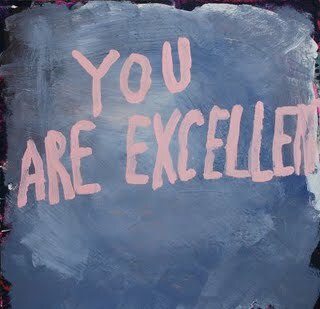 Polo describes himself as “a time-waster extraordinaire who is currently obsessed with winning and losing.” Sometimes his paintings contain motivational slogans, that, when executed in his ‘naieve’ style, become cringeworthy. 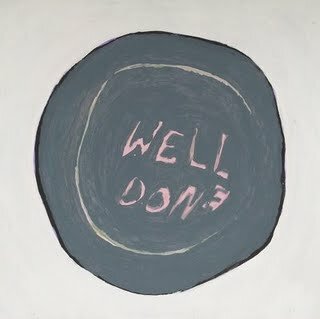 Paintings like ‘You are Excellent’ and ‘Well Done’ acknowledge a knowing, arguably hopeless optimism in the face of the banality (and disappointments) of everyday life.